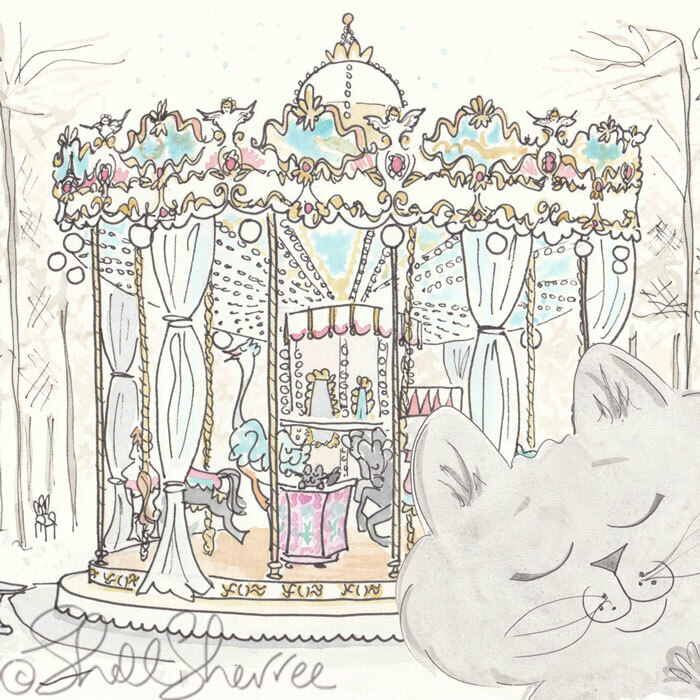 Is it too much to ask for a carousel ride in Paris for Christmas? In today's illustration, this sweet kitty cat is getting up close and personal in order to flex the full furry weight of her feline persuasive muscle. Happy Francophile Friday to you ! Wishing you love and laughter, peace, love and light for a beautiful festive season and a happy new year. See you soon! Christmas is half over where you are, and it's still Christmas eve here! I hope you're having a happy one.